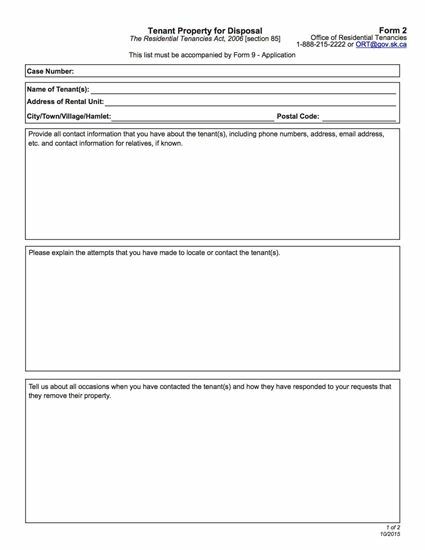 Form 2 Saskatchewan Tenant Property for Disposal is a list of your tenant's abandoned property which must be presented as part of the landlord's application to dispose of the property. This is a free fillable PDF form from the Office of Residential Tenancies. Form 2 must be attached to the Form 9 Application for Claim, pursuant to the Residential Tenancies Act, 2006 (s. 85). 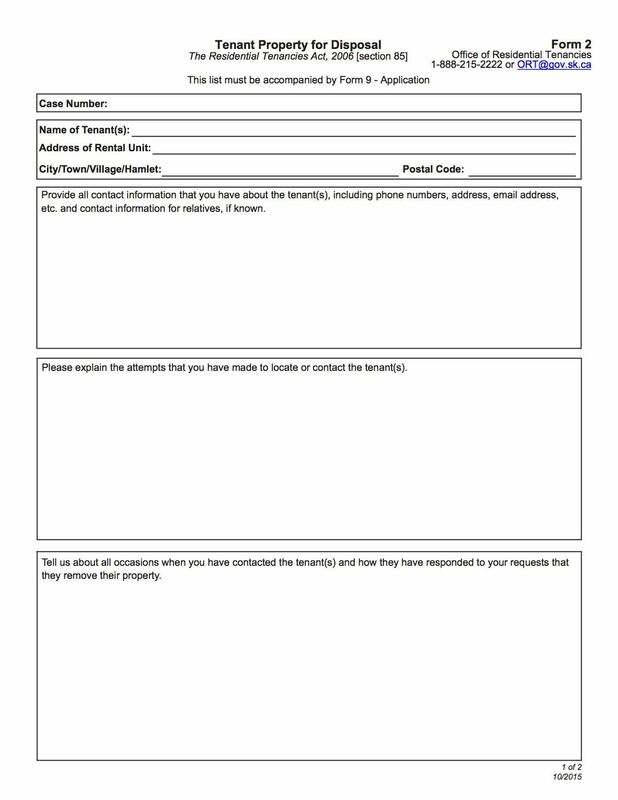 The form describes the property abandoned by the tenant and all the attempts made by the landlord to contact the tenant to retrieve the property.